A year ago, Father Dustin Boehm was frustrated. Ordained in 2011, he had since served as associate pastor of St. Monica Parish in Indianapolis. But for the first two years of his priestly life and ministry he felt cut off from half of the population of that large faith community. His knowledge of Spanish was so poor that he couldn’t communicate with the parish’s burgeoning Hispanic population. So during last summer and fall, he spent three months in Mexico studying Spanish intensely for several hours a day with a private tutor and immersing himself in the culture of the people there. He came back a changed priest. The blessing of the immersion program in which Father Boehm participated will now be shared with the seminarians of the Archdiocese of Indianapolis. In the past, such programs were an option that they could choose to do. Starting this summer, it is a requirement, in most cases, for seminarians to complete before they can be ordained. Archdiocesan vocations director Eric Augenstein was ordained in 2004 when the program was not a requirement. He studied Spanish in a limited fashion at Saint Meinrad Seminary and School of Theology in St. Meinrad, but soon learned that it was inadequate to carry on effective pastoral ministry to the large number of Hispanic Catholics spread across central and southern Indiana. During the 10-week program, seminarians will live with host families and spend half the time in Cuernavaca in the mountains of central Mexico and half at Oaxaca, along the southern Pacific coast in Mexico. The tutors and instructors of group classes who will work with the seminarians are prepared for whatever level of knowledge of Spanish they have at the start of the program. Although seminarians will travel to Mexico at least two at a time, they will live with their own host families. And Spanish will be the only language spoken by their host family and in the school where they will work with a tutor and participate in group classes. That stretching took a while for Father Boehm, who said that he didn’t experience himself progressing in his knowledge of Spanish for his first two months in Mexico. 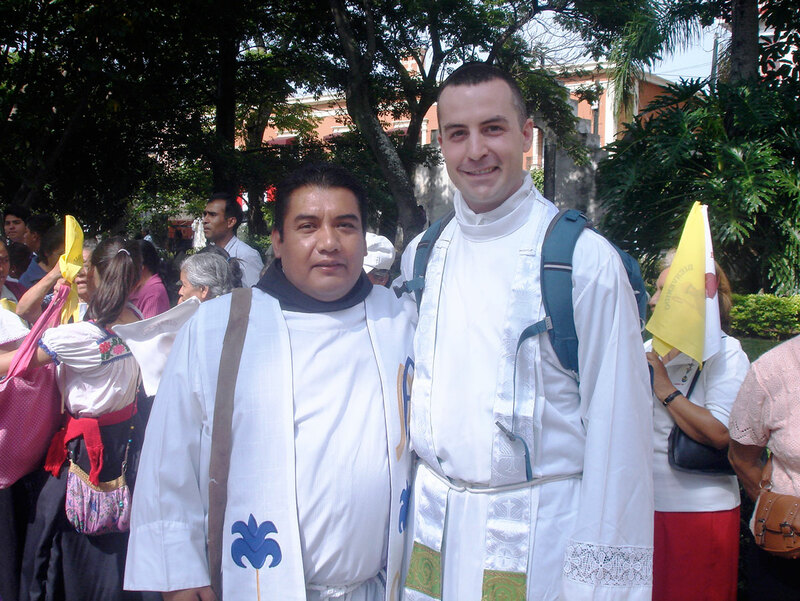 Transitional Deacon Michael Keucher participated in an immersion program in Guatemala during the summer of 2012. For him, learning about the way in which Hispanics experience the life of the Church in the midst of their own distinct culture was arguably as important as learning to speak Spanish. Seminarian Kyle Rodden, a member of Most Sacred Heart of Jesus Parish in Jeffersonville, did the immersion program in Guatemala during the summer of 2013. The primary reason the archdiocese is now sending seminarians to Mexico instead of Guatemala has to do with culture. According to Franciscan Brother Moises Gutierrez, director of the archdiocesan Office of Intercultural Ministry, about 80 percent of Hispanic Catholics in the archdiocese immigrated to Indiana from Mexico, which has its own culture distinct from those in other Latin American countries. For Father Boehm, spending three months in Mexico helped him understand the importance of Our Lady of Guadalupe to the Mexican people, something he had little appreciation of in the past. Celebrating the feast of Our Lady of Guadalupe at St. Monica Parish last December was a special moment for Father Boehm. The now nearly 500-year-old image of Our Lady of Guadalupe on the cloak of St. Juan Diego shows her as a person of mixed race, tied to both the indigenous people of Mexico and the Spanish conquerors. This deep love that Father Boehm gained for Our Lady of Guadalupe opened up his mind and heart to a special way of proclaiming the Gospel. He calls it “the Guadalupe school of evangelizing,” and it involves lovingly meeting people “where they’re at,” something that Our Lady of Guadalupe did by showing herself to be a part of the indigenous people of Mexico. After she appeared to St. Juan Diego in 1531, indigenous Mexicans by the millions embraced the Catholic faith. Before then, the Spanish conquerors had little success in their evangelization efforts. Beginning on July 2, Father Boehm will start reaching out and ministering to the Hispanic community in Richmond when he begins his service as administrator of the nearby parishes of St. Gabriel in Connersville and St. Bridget of Ireland in Liberty. Deacon Keucher and Rodden foresee the time they spent in Guatemala as having an effect on their future service to the Church as well. “I think it’s a huge asset,” Rodden said. “With our situation of having communities that speak primarily or only Spanish, it’s not enough to just be able to read the Mass or say a formula for absolution. And like Father Boehm, Rodden sees the cultural element to his immersion experience as vitally important. 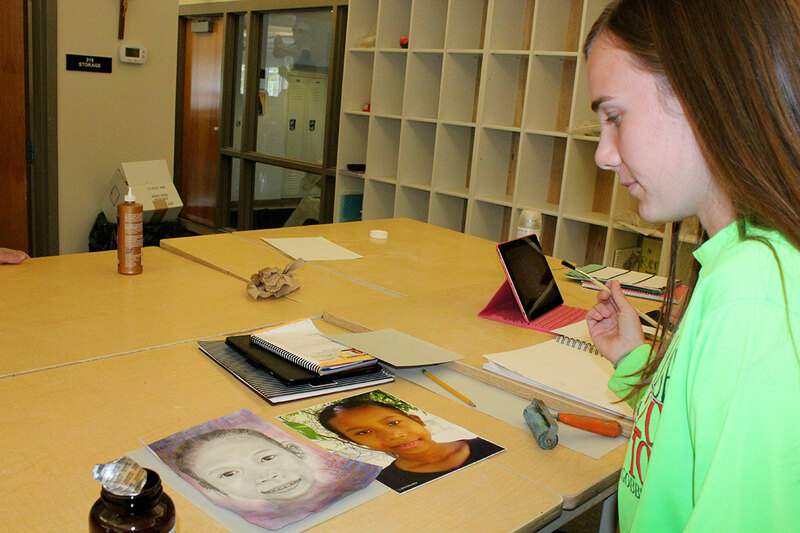 “In order to walk with them and get to know them, you want to know about where they came from, how they lived before, what their values are, how they celebrate and be able to share with them in all of that,” Rodden said. Deacon Keucher is eager to help expand the ministry of the Church in central and southern Indiana. Brother Moises appreciates the fact that the future priests of the archdiocese will spend time in his native Mexico. But he sees making an immersion experience an integral part of priestly formation for archdiocesan seminarians as opening their hearts and minds to Catholics from around the world who come to central and southern Indiana and make the Church here more an image of the universal Church. “We are really forming global Church leaders by doing this,” Brother Moises said. “Just by having one experience in a different country and learning another language really prepares you for our global Church.